Here are a few more highlights from our most recent load of new fashion fabrics! These printed knits are perfect for dresses, skirts, or a refined tee. Printed knits are a great way to work patterns into your wardrobe while keeping your look sleek and streamlined. Knits sew up quickly, and there are more sewing patterns available than ever for knits these days! The new Class Schedule is now available at our website! We have a whole new batch of classes starting in February; everything from the Basic Sewing Series to advanced techniques like zippers and fitting pants, skirts, and bodices. We have lots of new quilting classes - learn a new block or technique with quilting instructor LaVaughn Bye. And there are plenty of kids' classes as well! Everything from Fun Stuff with Felt for ages 6 and up to Guerrilla Sewing for Teens. Register today for a class to stretch your sewing skills! 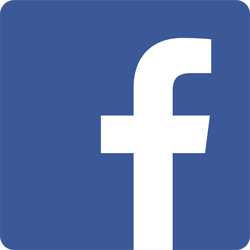 Call us at (651)698-9690 or stop by the store. We got a huge new shipment of fashion fabrics this week, with dozens of exciting new pieces! First up, let's take a look at some great new lace and sweater knits. We have several new pieces of printed knit lace - gorgeous as an allover fabric when underlined with a solid, or just use a little bit as an inset or trim. This sheer printed knit is embellished with rows of textured trim and tiny, subtle sequins! Love this bright orange sweater knit's open and airy texture and applied yarn scrolls and squiggles. Just the thing to get you planning your spring sewing! There are dozens of new fabrics in the store, so keep checking here for the latest updates, and stop on by to grab a few new goodies! We have a wonderful new book at Treadle, all about hand sewing! At first glance, this looks like just another embroidery book, but it's so much more. Stitches for tailoring and fine garment sewing are covered, alongside stitches for knitting, mending, quilting, and more! The book's table of contents is separated into "functional" and "decorative" sections. The functional stitches range from hand gathering and seaming to pad-stitching and blind hems, while the decorative stitches cover dozens of beautiful embroidery and embellishment designs. This book would be a wonderful companion to either of the Hand Sewing Classes at Treadle, or used on your own. Learn what you can do with every craftsperson's best tools: your own two hands! We have new prints in the store from Amy Butler's latest collection, Hapi. True to Amy's style, these prints are created with richly saturated colors and high-energy contrasts. Bright, creative, and always unique, Amy Butler's fabric designs are modern classics. Stop by Treadle today to see all our amazing cotton prints! Foxes are so popular right now, pulling ahead of owls for the Cutest Woodland Animal Fabric Print title. Our novelty print section is just brimming with adorable foxes in all styles and sizes. Here's a set of cute fox prints we just got in. This wide stripe print of foxes in all manner of cars and bicycles would be ideal for quilting, or anywhere you can showcase a big, linear print. The scatter print on fashionable grey features foxes as well as turtles, chickens, mushrooms, and more. Adorable as a companion to the stripe print above or used alone in children's clothes, quilts, or anywhere you want a little whimsy! Next week at Treadle, we're expecting a HUGE shipment of new fabrics! Keep your eyes on this blog to get the scoop! 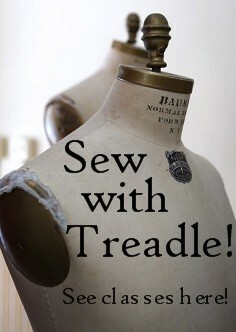 Treadle featured in Threads Magazine! Treadle Yard Goods, along with many other favorite Twin Cities sewing spots like the Textile Center and Sewing Lounge, is featured in the current issue of Threads Magazine! This renowned resource for fine garment sewists of all levels has kept readers stretching their skills for decades. We are proud to be featured! The article was written by Paula DeGrand, longtime Treadle customer and blogger at Getting Things Sewn. We think Paula did a great job capturing the Twin Cities' vibrant sewing scene! You can see a limited digital preview here, but for the real deal, just stop by Treadle! We have a stack of copies of issue #171 for sale, and more on the way. Due to the extreme cold weather that is forecast for Monday, January 6, we have decided to close the store on that day.We will be open our regular hours tomorrow, January 5, from 1 to 5 p.m. Bundle up and hurry in to take advantage of the last day of our winter clearance sale. Then...stay home, stay warm and sew the day away on Monday!